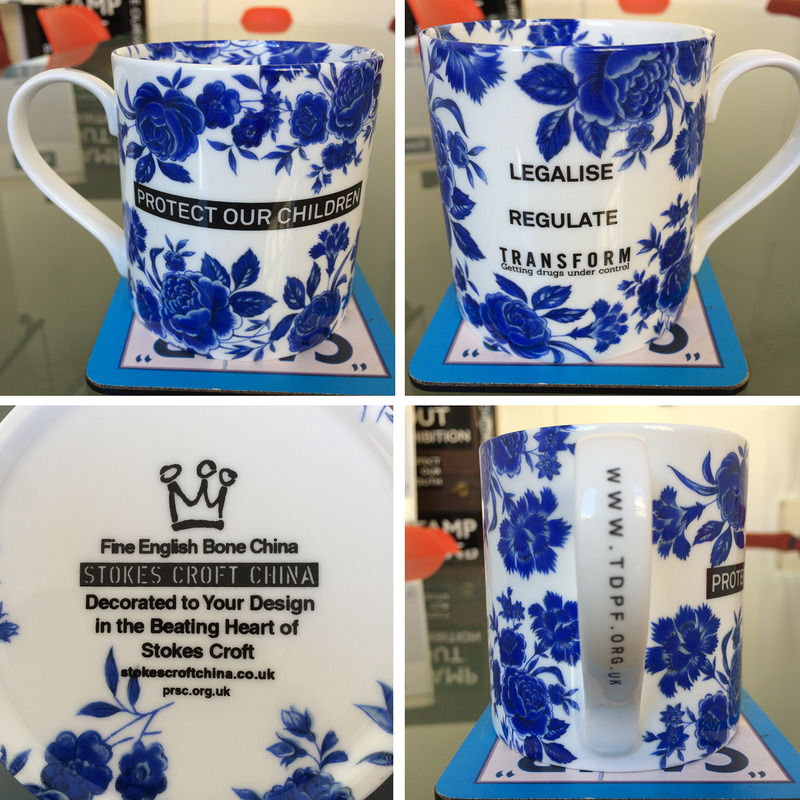 'Protect Out Children' mugs are back in stock! Hand crafted from Fine English Bone China by Stokes Croft China in Bristol, UK. Every mug is uniquely decorated with a signature salvage blue floral print.